Q-Peak fiber lasers deliver unique optical performance. Q-Peak is a world pioneer in high power fiber lasers and fiber amplifiers. Q-Peak has been developing high-power, Tm:silica fiber lasers since 2006 and routinely constructs 100s of Watts average power, 2-µm fiber laser systems with 60% optical-optical efficiency. For over a decade, we have constructed all types of high power fiber lasers and fiber amplifiers at 1-µm, 1.55-µm, and 2-µm using innovative technologies and the most advanced optical fiber processing equipment. Our fiber lasers deliver unique optical performance that is unavailable on the commercial market including 100-W average power picosecond fiber lasers at 1064 nm, 10s of Watts picosecond fiber lasers at 2-µm, and 100s of Watts single frequency 2-µm fiber lasers. 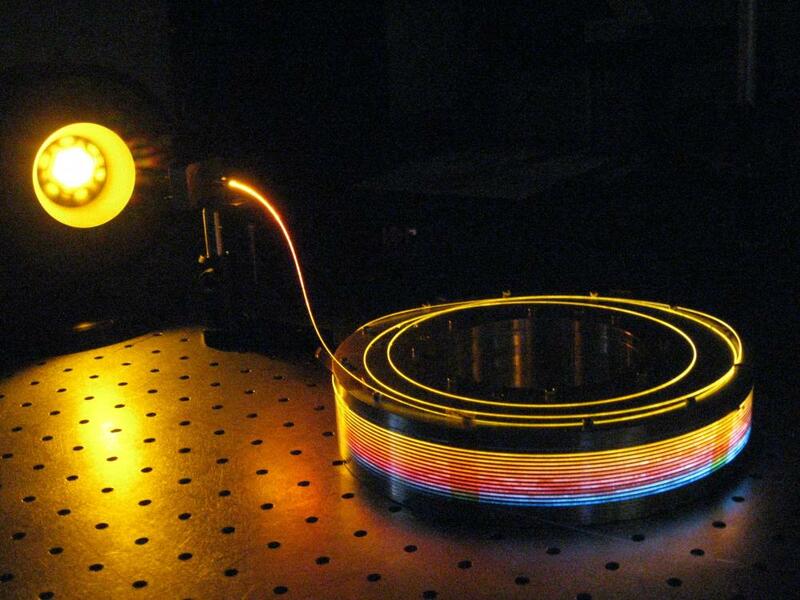 We have also developed modeling tools to advance the development of fiber lasers and fiber amplifiers. Based on our high power fiber laser and fiber amplifier technology, we have constructed high power supercontinuum sources covering wavelengths from 600 nm to 2000 nm. Combining our pulsed fiber lasers with nonlinear elements, we are able to shift the fiber laser power into the variety of desired wavelengths from the UV to LWIR.